I have always been drawn to the gospel narratives of the “empty tomb.” As a metaphor for the resurrection, the “empty tomb” proclaims the triumph of life over death; it asserts the promise of the fundamentally new that may also be fundamentally better. It holds forth the promise that our ordinary, perhaps, unhappy lives are not the last word for our journeys on this earth. 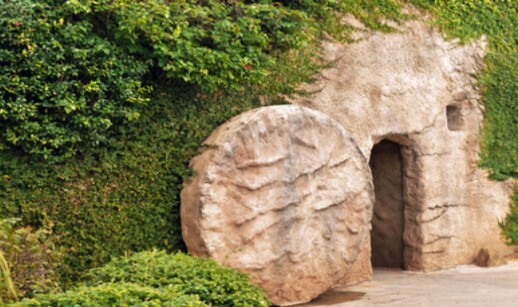 The “empty tomb” signifies hope. 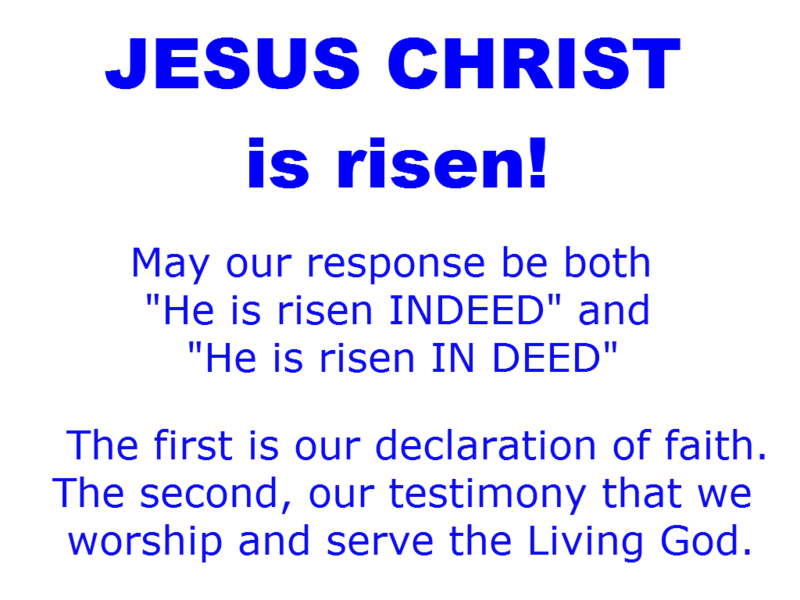 It is no surprise, then, that for most of its history, Christianity, especially in those times when it has struggled for recognition proclaims Easter as the fundamental ground—the foundation—for all of Christian life and faith. Hope, it is said, is necessary for life. This fundamental ground, even the necessity of hope for life, is an experience of power. For what can be more powerful than the experience of life overcoming death? It is part of the human experience to be attracted to life, and to fear, if not detest, death—especially premature, untimely death. It is also not uncommon to understand life as “the good, the true, and the beautiful” as defined by the dominant cultures of privilege in which we often move and have our being. Without this experience of being filled with power, the reality of resurrection remains a promise to be fulfilled. So, it is very easy, in this fragile life of ours, for the resurrection to be interpreted along two different, if sometimes incommensurable, trajectories. On the one hand, for those of us who have experienced being powerful—perhaps because of the way our societies have valued particular statuses based on race, class, gender, age, sexual orientation, ability—the resurrection is readily experienced as the legitimacy of our experience. On the other hand, for those of us who have yet to experience being powerful—perhaps because of the way our societies have devalued our particular statuses based on race, class, gender, age, sexual orientation, ability—the resurrection remains a promise. Both trajectories are experiences of power—and therefore of life: a promise can inspire; legitimacy can move one to action. But, a promise can also be broken; just as legitimacy can be withdrawn. As forms of betrayal, they can result in death. Indeed, the distance between power-as-legitimacy and power-as-promise is miniscule. Which is why the metaphor of the resurrection has been used both by the powerful and the powerless in their quest for meaning and significance. Resurrection, in this sense, can be a temptation that will distract from God’s eternal call to us to throw ourselves into the heart of transformation. When we insist on placing ourselves at the very mouth of the empty tomb where the resurrection looms so large—instead of preparing ourselves to receive the Resurrected One in our midst—we just might lead ourselves to believe that we are the bearers of resurrection, instead of mere witnesses to it. We might actually think that we have the power to prevent suffering in our world and to usher in God’s reign, God’s commonwealth. The narrative around Joseph of Arimathea helps uncover the contours of this temptation. Mark takes us to Golgotha, the “place of the skull.” But not satisfied with focusing on the crucified Jesus, he reminds us who among the followers of Jesus were lingering in that almost God-forsaken place: “Looking on from a distance,” Mark writes, “were Mary Magdalene, and Mary the mother of James the younger and of Joses, and Salome. Later in the narrative, we are told that Mary Magdalene and Mary the mother of Jesus “saw where the body [of Jesus] was laid.” I suspect, that not only did they see what Joseph of Arimathea did, but that they also saw this “from a distance” since, Joseph was not a disciple, but a member of the Council. But, what did Joseph of Arimathea, a respected member of the Council that was instrumental in putting Jesus to death do that earned him a special place in the gospel narrative of Mark? There is no sign that Joseph was a “believer” in the resurrection. So his actions may be understood appropriately as arising only out of a respect, not only for the tradition of “the Day of Preparation,” but also for the life of Jesus, a Jewish rabbi—now ended. There is no sign either that Joseph was a man with the kind of power that could have stopped the Council and Rome from going down the pathway of crucifying Jesus. However, Joseph of Arimathea, as Kay Northcutt points out, had some influence, in having the lifeless body of Jesus taken down from the cross, given the briefest of care—but care nonetheless—and laid in an empty, some say unused tomb, before the Sabbath commenced, in order that it could be properly cared for, once the Sabbath was over. Joseph of Arimathea was not powerful enough to prevent the crucifixion of Jesus, but he had the influence to take Jesus’ body off the cross. My friends, there is a lesson here for many of us who are not unlike Joseph of Arimathea. For not many of us have the power to stop a crucifixion, or to prevent suffering—especially unjust suffering. All of us do not have the power to give life, much less give it back to those from whom it was taken by others, if not by us. But, my friends, some of us, if not all of us, have some influence in taking lifeless bodies off of crosses—especially unjust crosses; or, if God’s grace allows, to keep them from mounting undeserved crosses, or take them down before death arrives. And while I know in my heart of hearts that hope remains the soul of that empty tomb, I am inspired more by the witness from a distance of the women in the life of Jesus; and, inspired by the testimony of Joseph of Arimathea, who did not find himself at the mouth of the empty tomb, who did not claim the promises of the resurrection, but who, without hesitation, boldly asked the powerful of his day, to respect, care for, protect the memory of human life. And, who, while not having the power to prevent the crucifixion, had the influence to take the crucified from the cross. Perhaps, this “influence” is God’s gift of power for those of us who, like the women in Jesus’ life, and Joseph of Arimathea, heed the call to be witnesses for God today–and not the bearers of God’s life in the world. Lester was a faculty member of New York Theological Seminary in New York City beginning in 1997, where he was a professor of theology and culture. He became vice president for academic affairs and academic dean in 2006. 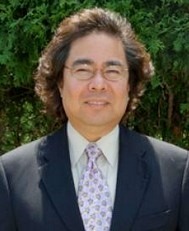 As an associate professor of political science at International Christian University, Tokyo, Japan, he taught courses in peace and world order studies, international relations, and politics and culture. A graduate in pastoral care and counseling from Ottawa University (Kansas), he holds the Master of Divinity with an emphasis on religion and society and the Ph.D. in social ethics from Princeton Theological Seminary. He is ordained in the Convention of Philippine Baptist Churches. Ruiz is co-editor of four published works, including Re-Framing the International: Law, Culture, Politics, with Richard Falk and R.B.J. Walker. He has contributed many chapters to books and has been widely published in journals and other periodicals. Active in social media, like Facebook, Lester shares his ideas and reflections on a variety of topics. We have taken the opportunity and permission to share his thoughts. Thank you, Lester.